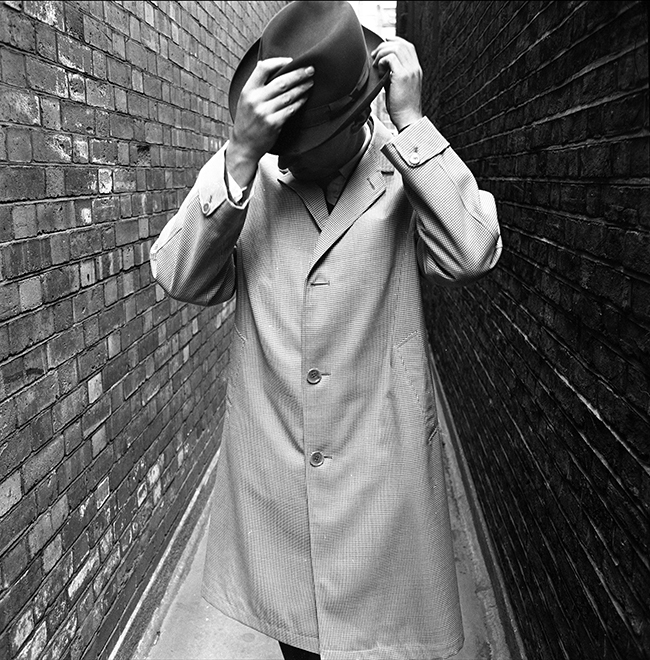 This well defined Duffy image was taken for an ad campaign for Aquascutum in 1960 and with Duffy’s tailoring background he was able to show the garment to its best advantage. Aquascutum – Latin for “Watershield” – was founded by John Emary in 1851. The brand patented waterproof wool which was used for officers coats in the Crimean War and trench coats worn by soldiers in both World Wars. The brand has been granted six Royal Warrants and has supplied aristocrats, political leaders and actors over its 165 year history. Quote ref: ZTP_0147_01 if you require press information regarding this image.